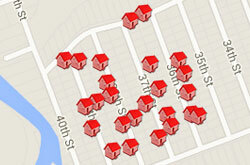 Are you planning a family reunion and need more bedrooms? 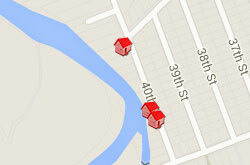 We have grouped these homes together that are located in easy proximity of each other for you to view. Click on the groups below to search available dates for just that group. 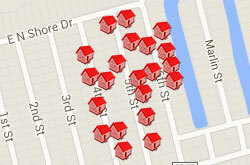 You can also view the properties on our map. 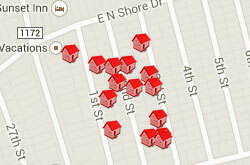 Just click the "Map These Properties" button near the top of each page. This group of rentals includes 17 homes ranging from 3 to 4 bedrooms and are located between 1st and 3rd Streets and are interior homes. This group of rentals includes 21 homes ranging from 2 to 4 bedrooms and are located between 4th and 6th Streets and are interior homes. This group of rentals includes 5 homes ranging from 3 to 5 bedrooms and are located from 7th to 12th Streets and are all 3rd row homes. This group of rentals includes 10 homes ranging all with 4 bedrooms and are located from 13th to 18th Streets and are all 3rd row homes. 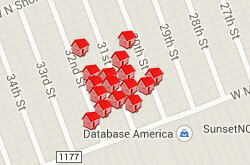 This group of rentals includes 3 homes ranging from 3 to 4 bedrooms and are located from 16th to 19th Streets. 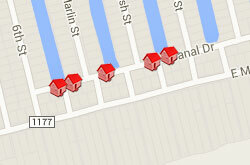 Some with boat docks. This group of rentals includes 9 homes ranging from 2 to 4 bedrooms and are located from 27th to 29th Streets and are interior homes. This group of rentals includes 16 homes ranging from 3 to 4 bedrooms and are located from 30th to 32nd Streets and are interior homes. 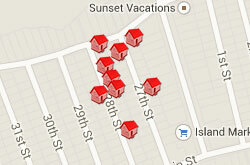 This group of rentals includes 24 homes ranging from 3 to 5 bedrooms and are located from 33rd to 35th Streets and are interior homes. This group of rentals includes 25 homes ranging from 3 to 4 bedrooms and are located from 36th to 39th Streets and are interior homes. 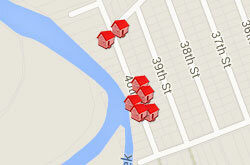 These 7 homes, ranging from 4 to 8 bedrooms, are located on 40th Street and have great views - some have boat docks. 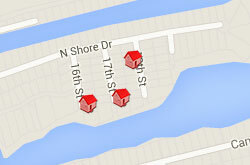 These 3 homes, each with 4 bedrooms, are located on 40th street on the water side with water views and boat docks. 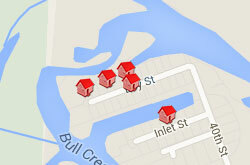 These 5 homes, ranging from 3 to 4 bedrooms, are located Inlet and Bay Streets with march views - some with boat docks. 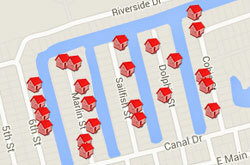 These 25 homes, ranging from 3 to 6 bedrooms, are located on 6th street on water side; Marlin, Sailfish, Dolphin and Cobia Streets â€“ some with boat docks.